Butler East to Butler Basin: Park 8 miles up the canyon on the north side of the road. Two miles and 1600’ elevation gain brings one to the basin beneath Gobbler’s Knob. Tourers will cross beneath numerous avalanche paths (including one named ‘Scary Gulley’) in Butler East. 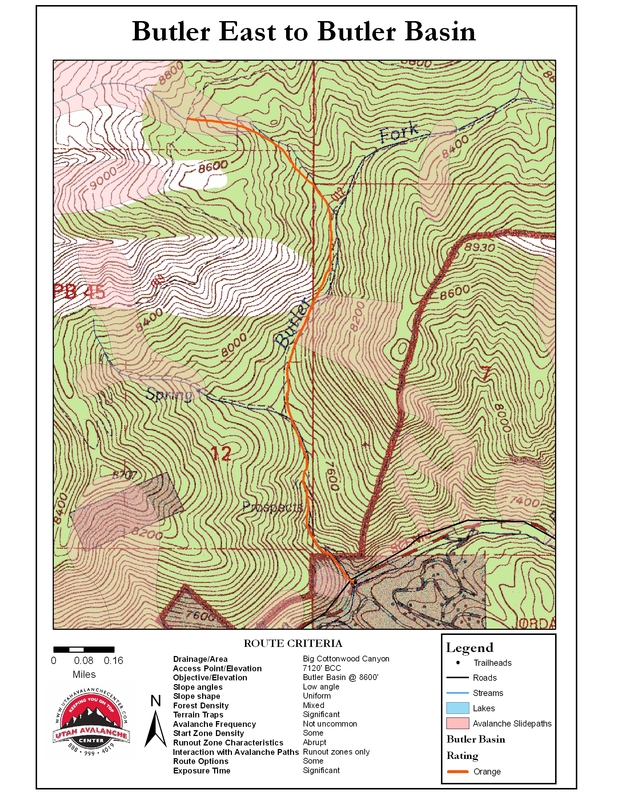 Caution too is advised in the narrow stretch above the Butler Fork trailhead. As always, practice safe travel protocol: spread out and move underneath suspect terrain one at a time. Dogs are not allowed in the watershed of BCC.